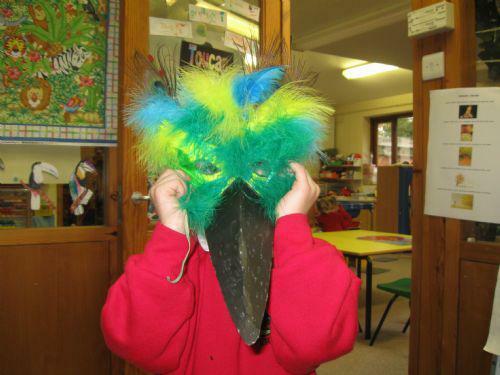 Hedgehog Class homework task for the first half of the Autumn Term was to make a mask of their favourite rainforest animal for Reception Year and to write an informative piece about an animal for Year 1 children. The class shared their pictures and writing with the rest of the class and parents. It was lovely to see so many parents coming to join us. 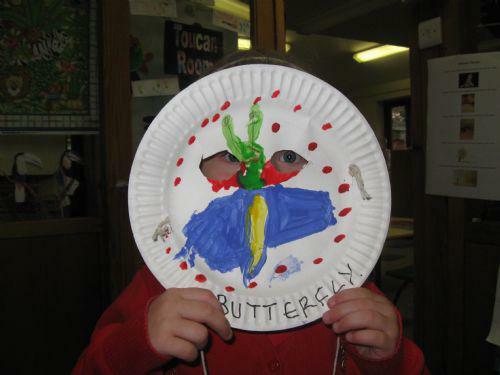 Here are some examples of the reception children's masks. 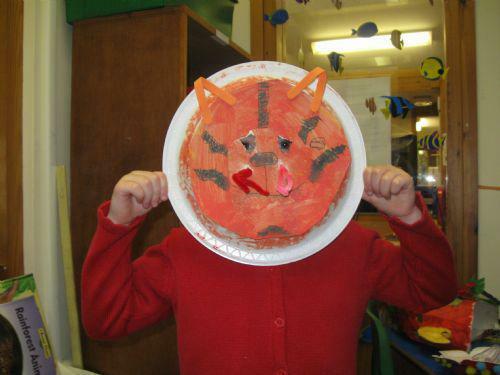 Can you guess the animal?